Cheng Yu Tung College (CYTC) held the successful exchange resident program with Freshman College, Taiwan Chengchi University (CCU) from January 13th to 19th, 2018. This is the fourth year that two colleges visit each other. The first part was 10 selected CYTC students visited CCU from December 17th to 23rd, 2017 and then Freshman College came to visit CYTC. 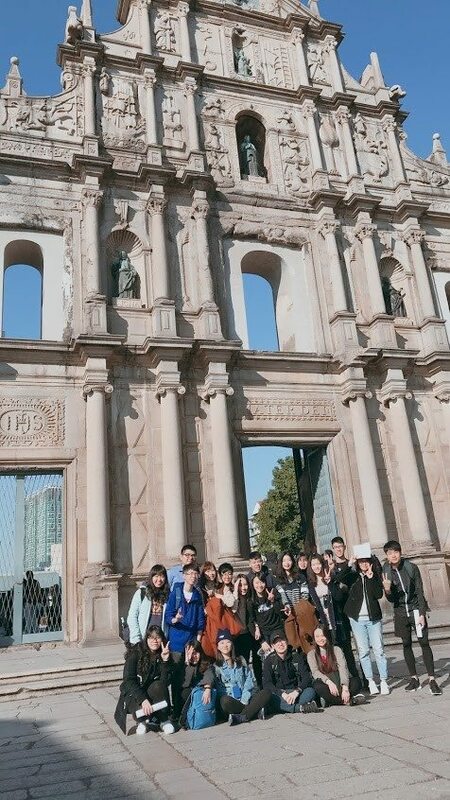 10 CCU students had learned a lot and enjoyed their staying with CYTC residents in the University of Macau. 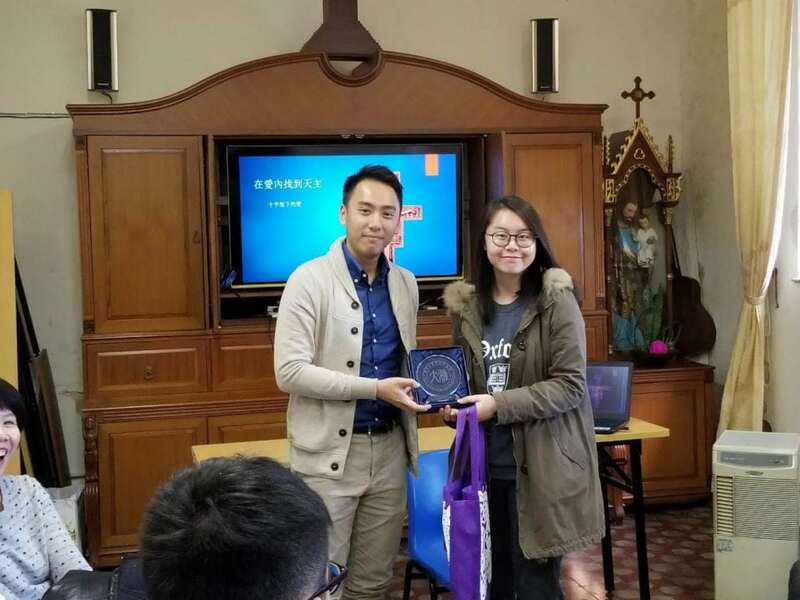 10 students visited UM led by the Fellow of Freshman College, Mr. Chan Liwei, staying in CYTC, participating in various programs related to the theme of “Religion and Culture”. CYTC held the High Table Dinner, 3 lectures and talks, a movie discussion of “Peaceful Warrior” which is also about self-awareness and religion. Special thanks shall be given to Prof. Zhang Mei- Fang from English Department of UM, Buddhist Reverend Yong Yun and the Catholics clergy, Mr. Joshua Yuan. Prof. Zhang gave an interesting speech “Interesting Cultural Translations in Macao”. 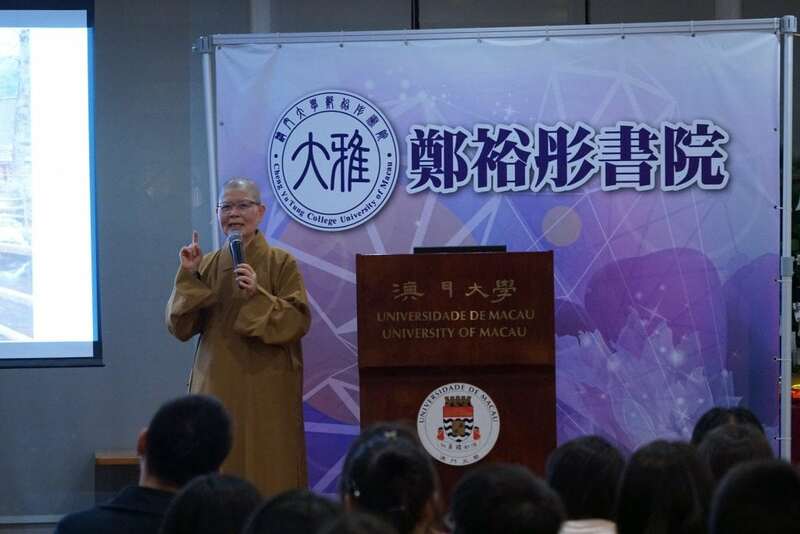 She talked about the translation and stories of Macau historical sites, gastronomy and Macau gaming industry which let the audience understood the diversity of cultures and how different ways of translation would lead different impressions to the readers. Yong Yun Reverend is a Buddhist nun and also a writer from Taiwan. 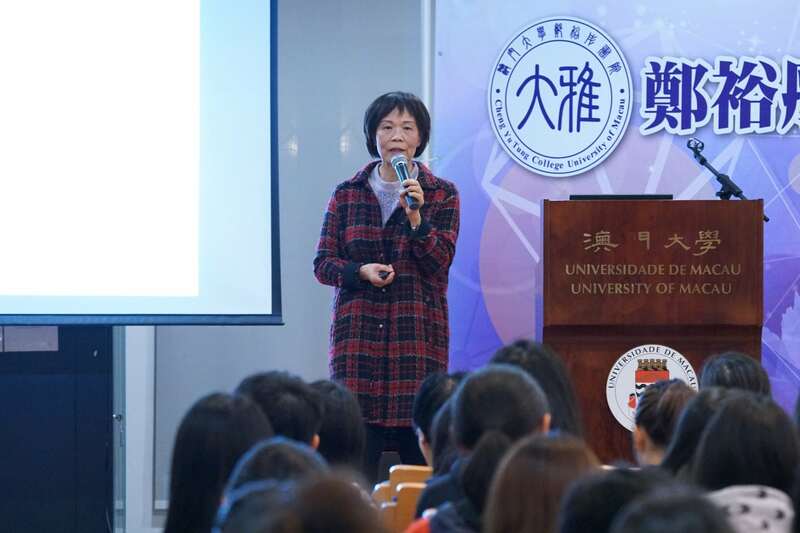 In her speech, “the Realm of Poetry of Zen”, she shared many poems with students and those poems were influenced by Buddhism and Zen, such as the impact of Zen doctrine on Wang Wei’s poems. Both speeches attracted over a hundred audience. In order to understand the development and diversity of religions in Macau, in the morning of 18th, CCU students and some college members visited Paróquia de Nossa Senhora do Carmo, a Catholic church in Taipa, talking with the clergy Mr. Joshua Yuan. Through the perspectives of Catholicism, students learned love and affection in life. 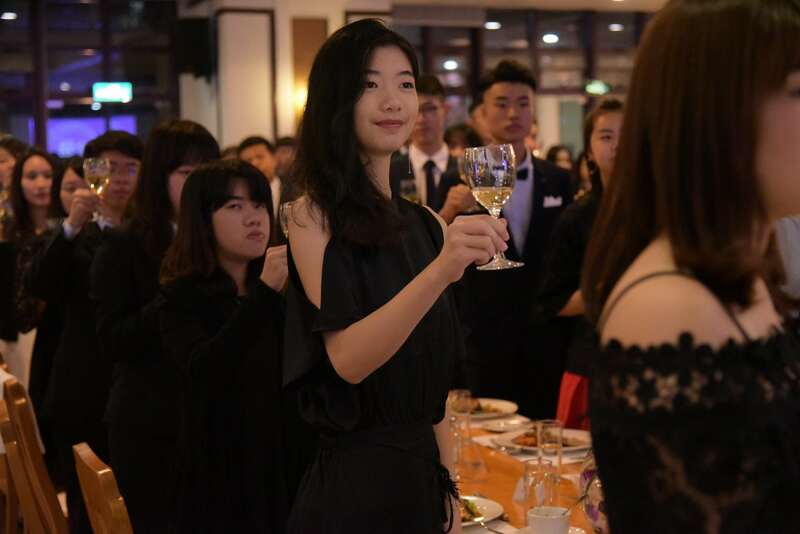 In the activity Crisscrossing Exchange of Residential Life: Macau and Taiwan on January 19th, several students shared their ideas and analyzed the difference between the two universities. Students of the two Colleges unquestionably built up very close relationship after the exchange program. Most of them were truly touched by the hospitality and warmth from CYTC and vice versa. Two Colleges agreed the exchange program will be continued next year and hopefully more interesting theme studying or project-based elements will be put in so as to strengthen the quality of exchange programs.